We help you automate core business processes with a few clicks—not code. Easily build no code workflows, forms and generate complex documents without a developer. It’s the quick and easy way to streamline your processes, integrate your content and empower your people, wherever they are. It’s about people-driven design and people-friendly participation. It’s about improving processes – from the everyday to the elaborate. It’s about working with content no matter what or where it is, and routing it to the right recipients in the best way for them to use it. It’s about straightforward processes. Decide, drag, drop and you’re done. 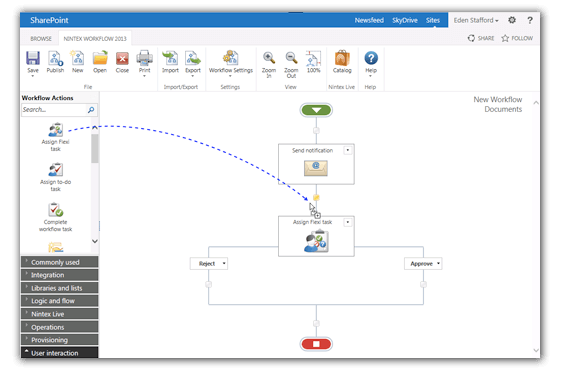 Individual users and workflow professionals alike can automate processes in minutes using an intuitive, easy-to-use, browser-based, drag-and-drop workflow designer that reduces the work involved in building, using and improving processes. Quickly create and publish web-ready and mobile-ready forms using our web-based, drag-and-drop designer. Build forms that feature dynamic fields, data validations, conditional display areas, and custom formatting for rich interactions. 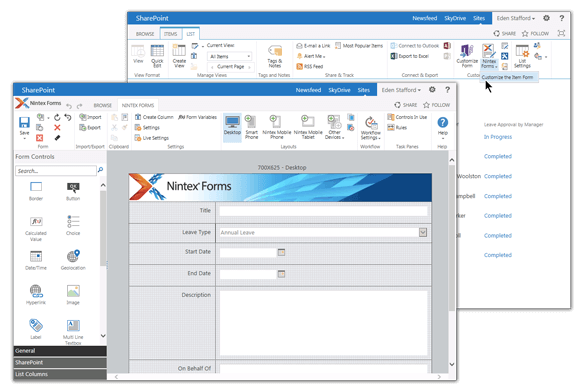 Connect the forms to workflows to create complex applications with zero code! 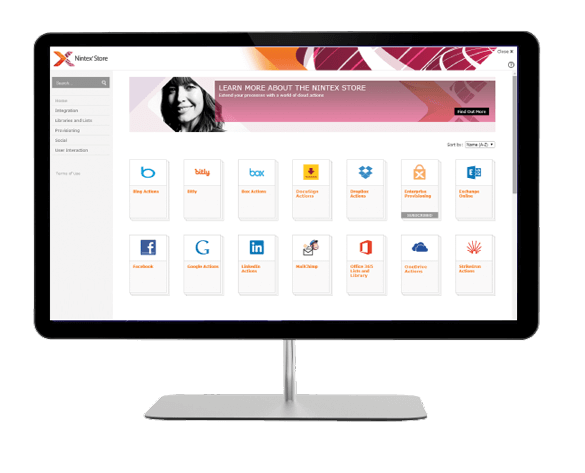 With Nintex, integrating a connector into your workflow is easy. The platform handles the communication, authentication and encryption details so all you have to do is configure, publish and run. Connectors allow you to connect all of the data, documents and information you need from a variety of sources with Zero Coding. You can simply drag and drop a connector into your workflow design, and continue building the workflow you need. If a connector doesn’t exist already, Tricension can build you a connector to your on-premise or cloud application.